The great thing about holiday books or shorts is that they are usually full of happy. They are full of hope and awesome sweet in every single page. And even those who have a bit of angst in them leave you with a huge silly grin, and hoping for christmas lights and carols. This book was just adorable. It’s pretty much angst-less and awfully cute. It’s a friends to lovers short that totally won my heart. Because I got this in audiobook I wasn’t sure if I was going to like it, and I was a bit afraid because the wrong narrator can royally screw things up for me, but I was pleasently surprised… For the most part. You see, like a lot of kids, I grew up with Disney movies (I promise I have a point and that I will get to it soon). My dad used to buy all this Christmas videos for us. Each one of them started with this guy telling the story, right? Well, when I started playing this audiobook, the voice of the narrator was so much like the one in the videos I used to watch that I just didn’t know what to think… My adult self panicked a bit, to be honest… Surprisingly, this worked for me quite well. The voice had the Christmasy tone I was used to hear, and it set the mood perfectly well. I also adored the accent, so it was a lovely plus. I always appreciate when the accent corresponds to the place where the story takes place. The narrator, Matthew Lloyd Davies, does a lovely job setting tones and moods for the emotions that the characters are feeling, and delivers them quite well. I also loved the voices he picked, especially Ryan’s. He also has the kind of voice that transports you, and takes you into the story, so that was a great plus as well. Like I said before, the story is lovely. Sam and Ryan have been friends for some time now. Sam came out to Ryan and his other roomies a year before the book takes place. Ever since, Ryan has had thoughts of Sam in more… romantic situations. Turns out that Ryan is gay, too, but he’s still in the closet and doesn’t know how to deal with that part of himself, so no one knows, not even Sam. When the guys leave for a Christmas holiday in a cabin in the countryside, they are expecting his other friends to join them, but a huge snowstorm stops their mates to joining in, so our two guys find themselves alone in this super cold place, surrounded by snow and wintery atmosphere. The story is full of clichés – two guys trying to keep warm by sharing a bed, and blankets. A mistletoe, etc. But what amazes me is how Jay manages these clichés that would normally have me rolling my eyes every two seconds, and make me, instead, smile like a complete idiot and want more… How does she do that is just something I can’t understand, but I’m coming to terms with the fact that deep down I’m a romantic who loves all things cliche if they come from her. It’s how these things are incorporated in a way that they tell the story, they set the pace, they set the mood, the feeling, and it’s absolutely lovely. I loved Sam and Ryan’s friendship, and I absolutely adored how sweet they were to each other. I loved the teasing and the light banter, and I loved how Sam was not really judgmental of Ryan for keeping his orientation secret for so long. Yes, he got all “Why didn’t you tell meeeee?” but he got over it very quickly, so it lightened up the mood a lot, and avoided what could have been a pretty angsty scene. The angst levels are very low, and while there are a few miscomunication issues, the guys find out a way to work things out and we get a lovely, lovely ending… *whispers* the New Year’s scene was my favorite. So, yes… Lovely holiday story, and perfect to set the mood for my following christmas reads. I mean, here I am, now wanting to read only christmasy stories because, dude, this was so lovely! Also, I need to spend a weekend in a cabin surrounded by snow.. NOW! I can’t get enough Christmas stories – adding this to my wishlist. It sounds really sweet. 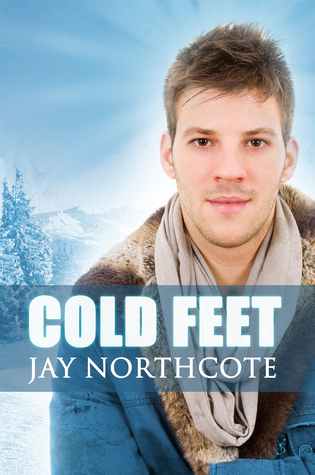 This entry was posted on November 17, 2015 by Gaby in Contemporary, Reviewer: Gaby and tagged 4 Stars, audiobook, christmas story, holiday read, jay northcote, self-pub.